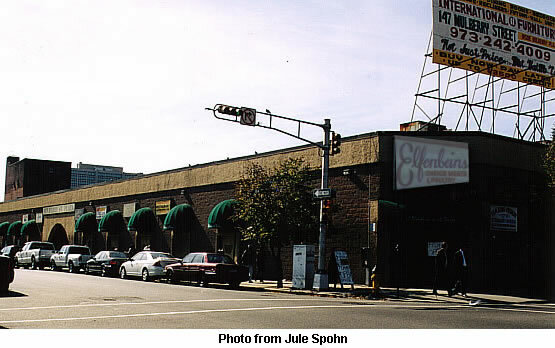 There is an article in today's - October 19, 2003 - Star Ledger that Elfinbein's Choice Meats in the Mulberry Plaza will be closing after having been in business since 1913 and having been in Newark since 1930. 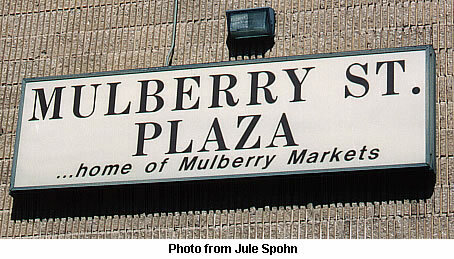 Two other shops are still open in the small complex on the SW side of Mulberry Street around the corner from Market Street which was opened in 1985 when many of the open air shops where moved in order to make room for the Gateway Plaza Complex. 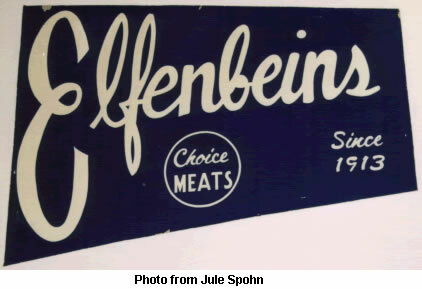 Irwin Brunstein took over the meat business from his father and grandfather - an Austrian immigrant who started the business in Passaic in 1913. The Newark Nut Company was started by Sol Braverman in 1939. His grandson Ken Braverman now runs the shop. The store has everything from honey roasted peanuts to pistachios and fried green peas. 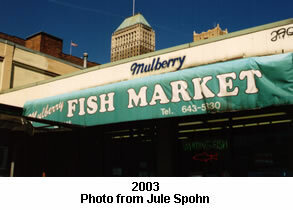 The Newark Seafood Center is owned by Howard Korman. 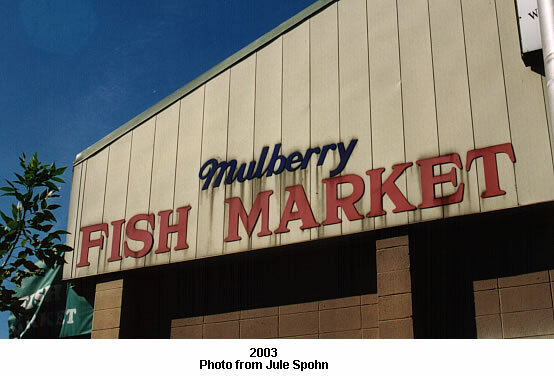 It has been in business which was started on Spruce Street in the 1950's and moved to the open air market on Mulberry street in the 1950's. 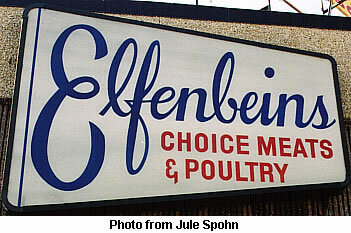 There is still some hope for Elfinbein's as there are some type of negotiations going on with potential buyers. This entire section of Mulberry Street going south is due for a $400 million construction of 2,000 market-rate condominiums, stores, gardens, etc. I will write a little article about this in the next few days. If you happen to be in Newark stop by and check out these two old-time Newark establishments and give them a little encouragement to stay.